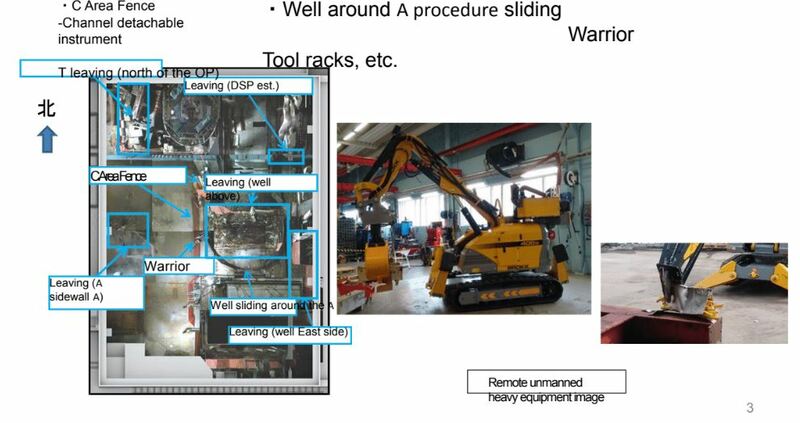 Work has begun on the unit 2 refueling floor at Fukushima Daiichi. 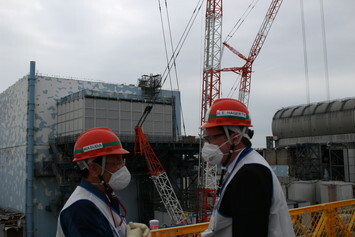 Previously, TEPCO installed a controlled building on the side of unit 2. This building provides filtered ventilation and a staging area. It will allow workers to send equipment into the reactor building refueling floor. The wall between the two buildings was opened earlier this spring. After the initial disaster it that unit 2 was creating the most significant radiation releases to the environment. The highest of the three units that melted down. 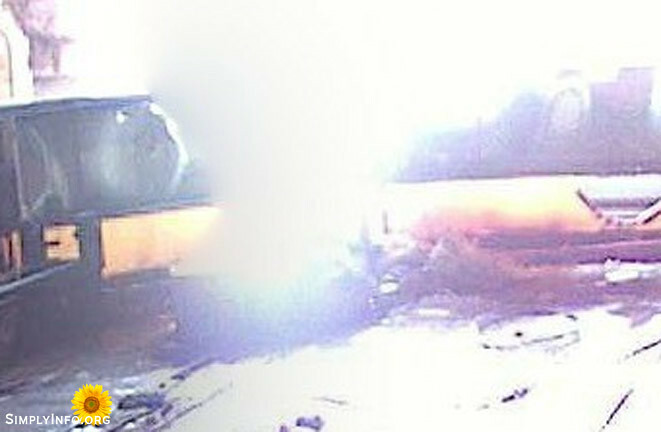 We discovered in 2012 an obvious steam leak from the reactor well via TEPCO images. TEPCO eventually put a filtration system on the building. This prevented radiation releases to the environment. The future plans for this unit include removing the entire refueling floor level. The roof and walls down to the refueling floor deck are to be removed. Then a new cover building with replacement systems will be installed. Workers are still unable to enter the refueling floor area. High radiation levels prevent human entry. Only robots have entered. 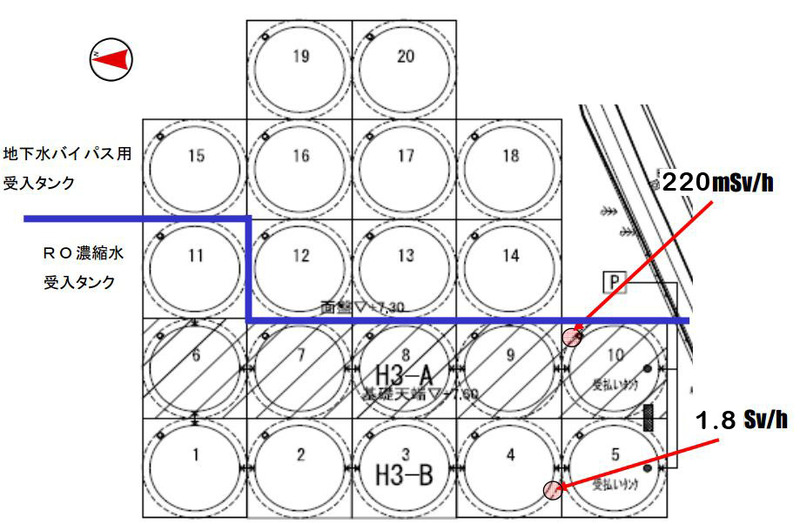 TEPCO has not addressed this radiation risk during the demolition and construction phase. Earlier reporting mentioned the planned use of dust suppressants during the demolition work. There is no management plan for potential radiation releases from the reactor well. 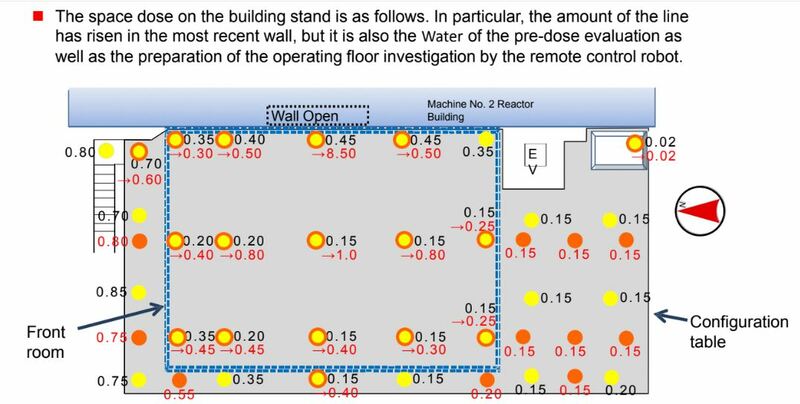 Radiation levels at the entry hole in the wall were slightly elevated after the wall removal. Readings in red are the “after” readings. All readings are in mSv/hr. 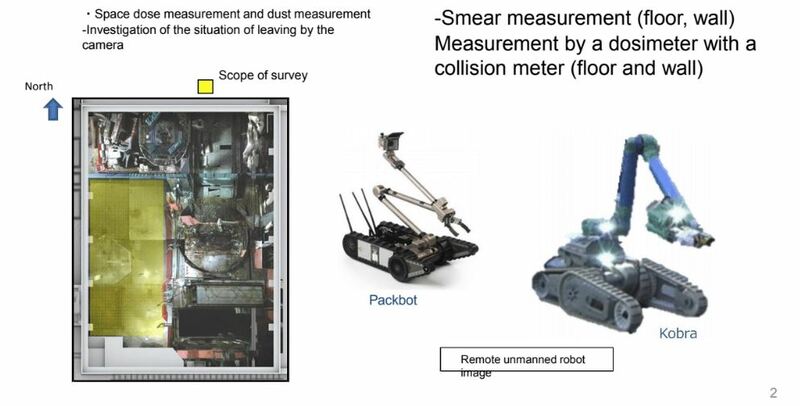 Robots will survey the section (in yellow) on the refueling floor. It is not clear if this work has been completed yet. Results of the data collection have not been published to date. Remote control heavy equipment will be sent in next to remove debris and old equipment from the building. 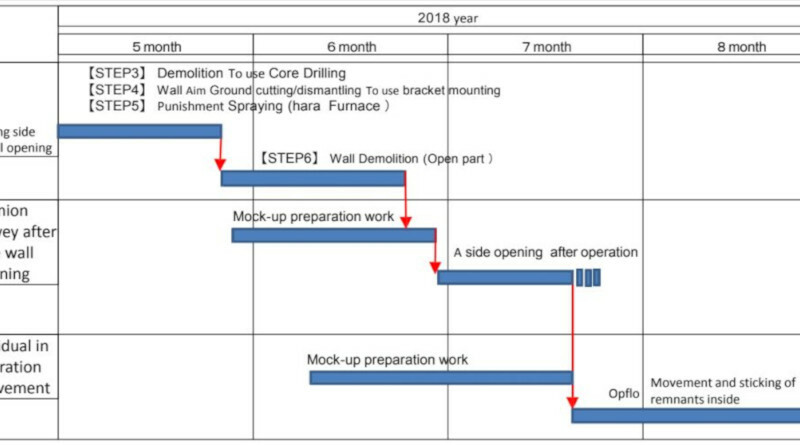 TEPCO’s schedule shows they may begin removing equipment from inside unit 2’s refueling floor as early as mid-July. The building demolition and spent fuel removal schedule is still somewhat vague. This is dependent on other work completion. A machine translated version of the TEPCO report can be found here.